Daily departures - Departs 8:00 am, Returns 8:00 pm. "Scotland in a Day" tour covering the magnificent beauty of Rannoch moor, Glencoe, the Great Glen, Loch Ness and Pitlochry. Daily departures - Departs 9:15 am, Returns 6:30 pm.Envision gory battles thrashing against the grand walls of Stirling Castle. Follow in the footsteps of the outlaws that hid amongst the hills of the Loch Lomond and Trossachs National Park. And relive the journeys taken by Rob Roy and William Wallace. 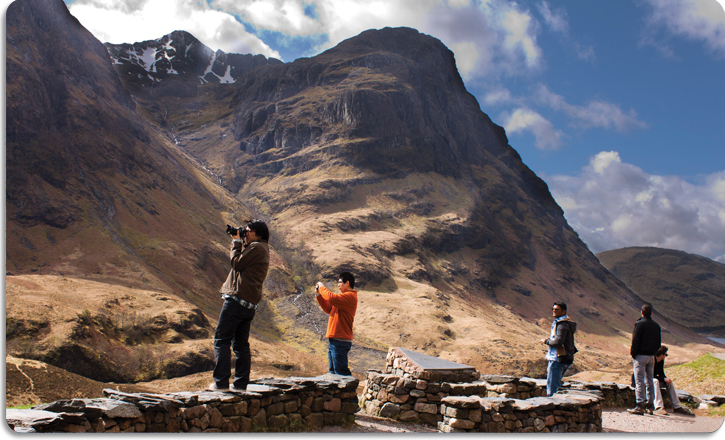 This tour is perfect for anyone who wants to admire beautiful scenery and learn about the heroes, tragedies, and landscapes that defined Scottish history. Daily departures - Departs 9:00 am, Returns 6:30 pm. A journey through the Celtic heartlands in the central Highlands taking in the waterfalls in Birnam forest, Pitlochry, the Queen's View and the splendor of Loch Tay, an area abundant with standing stone circles. Daily departures - Departs 8:15 am, Returns 6:30 pm. 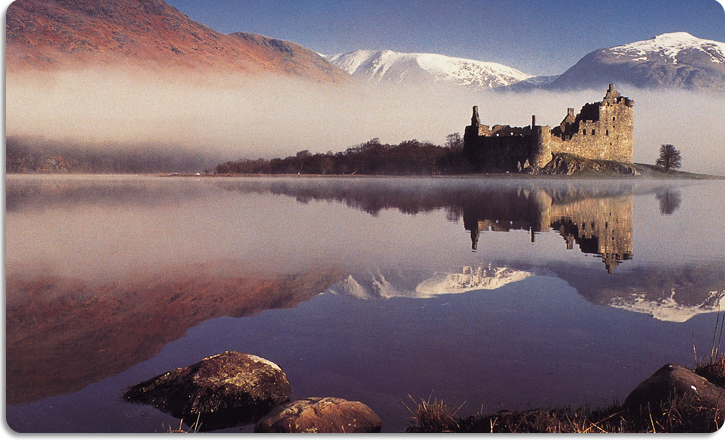 A fantastic day out in the heart of the scenic Western Highlands taking in the superb ruins of Kilchurn Castle, stunningly situated at the head of Loch Awe and Inveraray Castle, home to the Duke of Argyll. Daily departures - Departs 9:30 am, Returns 6:00 pm. A day out with lots of free time in the medieval city of St. Andrews, home of golf, and the picturesque old fishing villages in the East Neuk (corner) of the Kingdom of Fife. Daily departures Apr-Oct (limited to Sat/Sun Nov - Mar) - Departs 8:30 am, Returns 7:00 pm. A fantastic day out, stepping back into history. 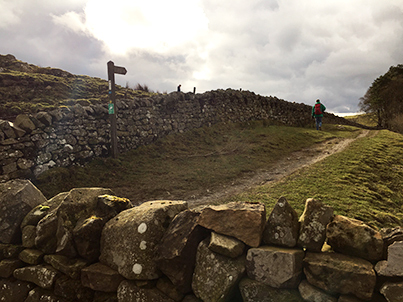 We visit Hadrian's Wall, Northumberland National Park and the Scottish Borders. Operates Mon, Wed, Fri and Sat to March 2017 then daily departures begin April 2017 - Departs 9:30 am, Returns 6:15 pm. Come and experience Scotland's “Water of Life” - single malt Scotch whiskey - with visits to two fascinating distilleries situated right on the edge of the highlands. Operates Tues, Thurs, Sat & Sun - Departs 9:15 am, Returns 5:45 pm. Step back in time on your very own Outlander Adventure. Visit fictional town of Cranesmuirhe and see Claire's herb garden. Journey past Stirling Castle and the Wallace Monument to Doune Castle, also known as Castle Leoch. Visit the fictional headquarters of Jack Randall and enjoy a photo op at Jamie's home Lallybroch.